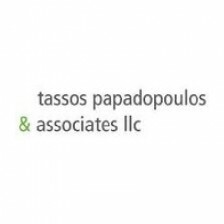 Tassos Papadopoulos & Associates LLC is one of the leading commercial law firms in Cyprus providing a full range of legal services. The firm maintains its principal practice base in Nicosia and is associated with local firms in all towns of Cyprus. In transactional and non-contentious business, the focus of the firm’s work is in banking and finance, corporate law, financial services, acquisitions of companies and property, immigration law, public tenders and procurement, advising public organisations, construction,mergers and joint ventures, the financing of major capital projects, competition and public listings. In the area of litigation, the firm has a very strong team of highly experienced litigation lawyers in every major field of civil litigation and arbitration including banking and finance, competition, corporate and commercial, construction, insurance, and contracts. The firm also has a substantial practice in the field of company formation, administration and tax planning (not only in respect to companies registered in Cyprus but also in foreign jurisdictions), as well as in international transactions involving Cyprus entities. The clientele of the firm includes local and international banking institutions, semi-governmental organizations including the Cyprus Ports Authority, the Cyprus Stock Exchange, The Scientific and Technical Chamber of Cyprus, municipalities and other local authorities, individuals, local and international building and engineering contractors, pharmaceutical companies, medical equipment companies, shipping enterprises, local and international information technology companies, publicly listed companies, investment firms, insurance companies, professional firms, large business concerns in commerce, tourism, hotels, general trade, oil and other fields. The firm has traditionally been involved in M & A activity in Cyprus and has advised on mergers of companies in the trade, banking and insurance sectors in Cyprus and also acted in takeover work by venture capital firms and has regularly represented local and international companies before the Cyprus Competition Commission on competition law issues arising out of takeover, joint venture and merger agreements as well as in alleged cartel cases. In addition, the firm has extensive experience in public procurement law having acted in the past for economic operators in some of the biggest BOT projects on the island such as desalination plants airport and marina projects and other public infrastructure projects.